Chuck Curtiss is a financial management consultant enjoying life in the Grand Traverse Area of Michigan. He earned an MBA in Economic Development, with a focus on micro-enterprise and small business development. He continues to enjoy empowering Entrepreneurs to grow their businesses. Chuck's professional experience spans a variety of business sizes from The University of Michigan and Mobil Oil Corporation to companies of only a couple of employees. 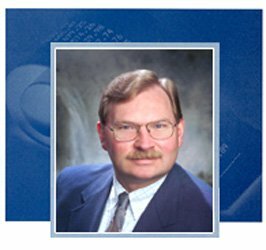 He has experience in many aspects of managing a small business, including business plan creation and evaluation, strategic planning, sales, marketing, facility management and planning, bookkeeping, training, staff supervision, resolving customer issues, and installing and maintaining financial management software. As Adjunct Faculty for Davenport University's Business Department, he developed materials and activities for teaching Principles of Management and Small Business Management courses to adult learners. Chuck is also a member of the 2003/2004 Leadership Grand Traverse cadre, and serves on the Small Business Council and Economic Advisory Council of the Traverse City Area Chamber of Commerce. While My Financial Team is new to Traverse City, Chuck's professional experience spans over twenty years, including a year overseas in Klaipeda, Lithuania. Chuck is invigorated by working with small companies to help both individuals and organizations reach their fullest potential. Accurate financial projections, great customer service, sound analysis and a keen attention to detail have been hallmarks of Chuck's contributions.